Home / health guide / WHEN ARE BRACES NOT RECOMMENDED? Although braces are almost the most effective treatment for most cases of malocclusion, they are not always the best option. There are cases when braces are not recommended and today we want to highlight some of those scenarios when braces are not recommended at all. 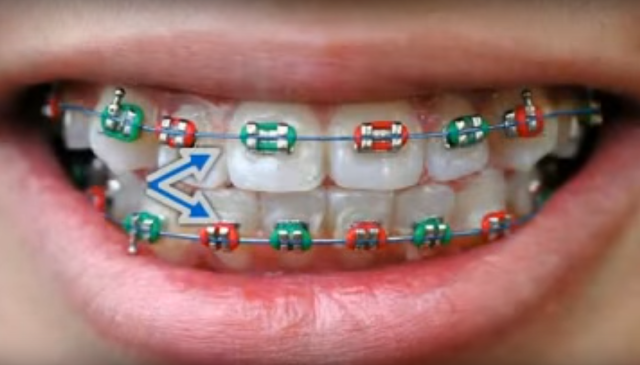 Braces are very important to people who need them. People with crooked teeth, those with overcrowded teeth, bite misalignment and other forms of malocclusions really need braces to improve their oral health and overall quality of life they lead. There are some unfortunate cases however where people have cases of malocclusions but due to additional medical complications, they are not ideal candidates for braces and we want to take a look at some of those scenarios. So, when are braces not recommended? What are the alternatives to braces? One problem that has always hindered the use of braces to correct malocclusions, it gum recession. Gum recession is a process in which the margin of the gum tissue that surrounds and anchors teeth gradually tears away exposing the bases and roots of the teeth. This pulling back or recession of the gum tissue causes gaps to form between the teeth and the gum line making the gum area susceptible to infections. The gradual recession also renders the teeth weak and any slight movement will affect the alignment of teeth. Gum recession normally is caused by old age. As we grow, the body loses its ability to regenerate new cells and tissues to replace to worn out tissues. This occurs at different ages for different people. Some cases of gum recession have been attributed to unhygienic lifestyles in early life stages. If you are suffering from malocclusion and have severe cases of gum recession, then braces are not recommended for you. If you get braces and you are suffering from gum recession, the tooth movement will only serve to worsen the situation. You might be better off therefore living off with the crooked tooth than trying to get braces that will only make your life more miserable. The other unfortunate group of individuals is the group that has suffered from bone loss in the jaws. However severe your malocclusion might be, braces will never be an option if you have bone loss in the jaws. Periodontists and other bacterial infections may lead to gradual loss of periodontal ligaments and the underlying jawbone. Sometimes when people lose teeth and don’t replace them, bone loss can also set in. When you have bone loss, orthodontic treatment especially braces becomes a problem. Braces will only make your situation worse and you will risk suffering from worse conditions that will compromise with the functionality of your jaws and mandibles. There are some of us who are born with generally weak bones. Bones that can’t withstand large amounts of force. We all know how much pressure braces exert on the teeth and the underlying jawbone when they are moving the teeth into position. People who have cases of weak bones and have cases of malocclusions, are not particularly the best candidates for braces. Although some orthodontists advise their patients to get synthetic grafts to reinforce their weak bones, we at Vita Dental don’t encourage this. There are far worse complications that you risk getting. It is not worth the risk. Sometimes, you might need to give up some of your teeth if you are to live a healthy comfortable life. It does not have to be braces sometimes that help you regain orthodontic health. You could opt for veneers or crowns to get your teeth sorted or even have them uprooted. If you are suffering from mild malocclusions that do not affect your bite or cause discomfort when chewing, then there may be no need for braces sometimes. There are other alternatives that will help you without further compromising your dental situation.